LADIES! 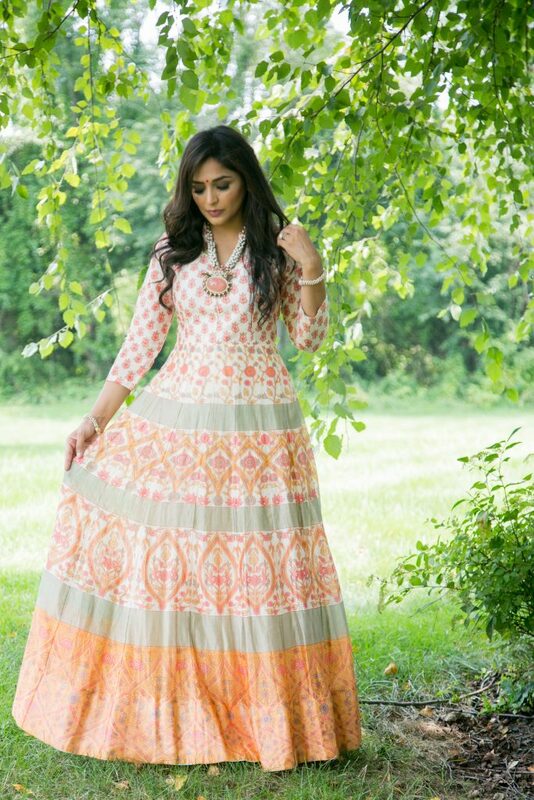 I think we can all agree that our desi wardrobes can get to be a little pricey! When you have like 5+ weddings to attend every year, and each wedding is a 3 day bonanza- the cost of outfits can easily add up. I generally purchase outfits that are versatile enough to mix and match so I get the most bang for my buck but even these outfits are well over $500 which isn’t ideal for everyone! With that in mind, I wanted to share some options with you all that are under $100!! 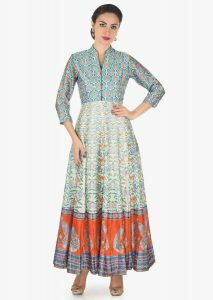 I have been obsessed with these floor length cotton and cotton silk gowns from Kalki Fashions. 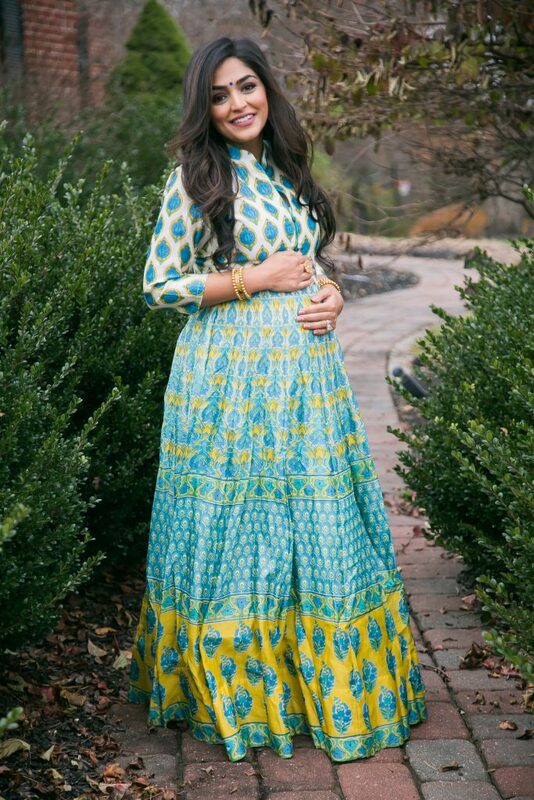 Aside from weddings, I also like to have a few simpler Indian outfits for baby showers, pujas, diwali etc. 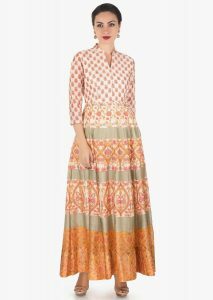 You can easily dress these gowns up with a bold necklace, a jeweled belt or statement earrings! The material is extremely breathable, comfortable and most of them have POCKETS!! I’ve noticed they carry these year round, and they just change up the silhouette and style every now and then! I have linked the one I am wearing and a few others that I loved on their site! 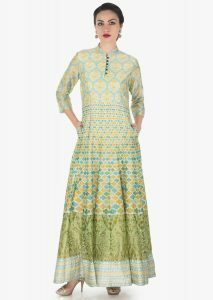 For the outfit pictured above head to Kalki and enter Product Code “425984”. 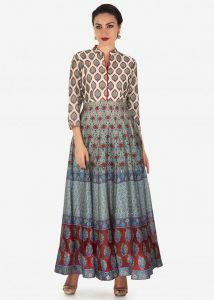 Kalki allows you to choose from a list of their standard sizes or you have the option to give them custom measurements. I have only chosen from the standard sizing. My Size: I choose “XS, 2 – Bust 34”. This still gives me a little bit of room and I generally get it adjusted by a local tailor- I rather have it a little loose than have it be too tight. My Height: I am 5’2″ and when I have chosen this height- they are perfectly floor length for me, but sometimes I like to wear heels so in those cases I list my height as 5’4″. I have shopped at Kalki for years (both online and in person) and have never had an issue with customer service. Everything I have purchased has always arrived in excellent condition (they deliver through DHL right to your front door). The shipping time frames (which vary from piece to piece) listed on the site have always been accurate (packages sometimes arrive a lot quicker even). In some cases, outfits have been sold out after I made my purchase but I did not get charged and they emailed me immediately to notify me. As far as quality goes, Ive been highly satisfied with their work, design, fabrics and fit! Palak- you look gorge! Where is your Jewlery from? Thank You 🙂 The necklace is something I bought years ago in India- so sorry I don’t have any details on that! The bracelets are actually from banana republic about a couple years ago! 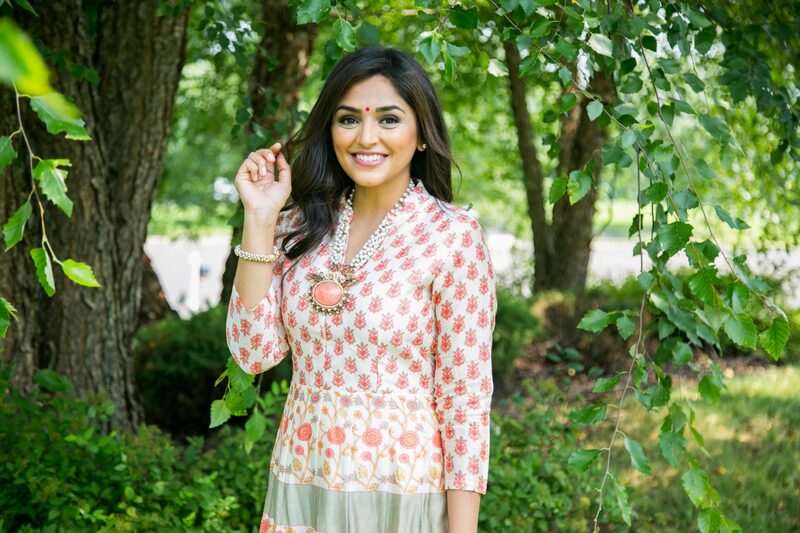 They tend to have some gorgeous jewelry that compliments south asian clothes really well! I have a question regarding the outfits that you mentioned. Did the web site give you sizing options?? I ordered two things from them, but wasn’t giving a option to either custom order or to pick a size. Did the outfits you get come unstitched? I have reached out to the company a few times and haven’t heard anything back, so just wanted to see if you had the same problem. Any information would be great! PS. love all your recipes! Such a big hit with my husband and kids!